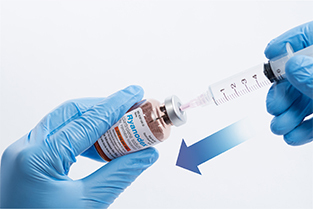 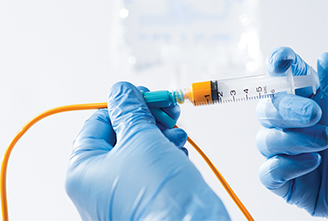 Administer RYANODEX® by intravenous push at a minimum dose of 1 mg/kg. 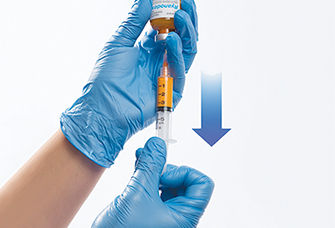 If the physiologic and metabolic abnormalities of MH continue, administer intravenous pushes up to the maximum cumulative dosage of 10 mg/kg. 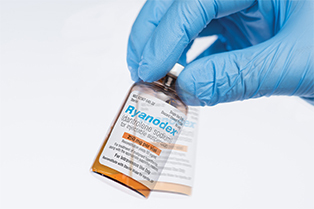 If the physiologic and metabolic abnormalities reappear, repeat RYANODEX® dosing by intravenous push starting with 1 mg/kg.